We provide quality, personalized financial guidance to local individuals and businesses. Our expertise ranges from basic tax management and accounting services to more in-depth services such as tax audits, financial statements, and financial planning. Catalyst Consulting Group LLC is one of the leading firms in and throughout the area. By combining our expertise and experience our staff can assure that every client receives the close attention they deserve. Our dedication to hiring exceptional employees speaks to our continued success and returning clients year after year. Our mission is to help clients maintain financial viability in the present, while taking a proactive approach to achieve future goals. This requires open communication to reach an understanding of our clients' needs through research and sound analysis. Catalyst Consulting Group LLC is dedicated to meeting these goals with high standards of excellence and professionalism. We have been a long standing partner to the area's business community for years, and pride ourselves on our dedication to hard work which has earned the respect of the business and financial district in our surrounding communities. We believe this to be a direct result of our talent and responsiveness to our clients. Whether you are a current or prospective client, rest assured that individuals and businesses who choose Catalyst Consulting Group LLC receive competent and timely advice. Tim brings thirteen years of manufacturing experience to provide practical approaches to strategic planning, lean manufacturing, inventory management, performance based cultures, space utilization and supply chain management. Formerly, Tim was the Vice President of Manufacturing and Operations for Pride Manufacturing Company, LLC. He was responsible for over 350 employees in four plants across the United States and Harbin, China. 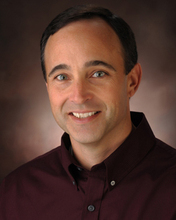 The previous eleven years, Tim was the Vice President of Norwood Promotional Products’ New London, Janesville, WI and Cranston, Rhode Island facilities. Tim had complete responsibility for sales, marketing, operations, IT, finance, human resources, and supply chain for a 400 employee division. During his tenure, this division grew from $5 million to $78 million through a focus on customer satisfaction, quality, and product innovation. Tim graduated from St. Norbert College in 1989. He began his career by working five years in public accounting at a regional firm in Green Bay. He is Certified Public Accountant and a member of the American Institute of Certified Public Accountants and the Wisconsin Institute of Certified Public Accountants. You can find Tim equally dedicated and focused in his personal life. Tim, lives in a rural community north of Green Bay with his wife and 2 daughters, who are in college. Tim has coached a varsity and JV club softball team for 9 years, some summers over 80 games! Tim's other hobbies include bird hunting Northern WI, the UP of MI and ND with his English Springer Spaniel. Tim is also an avid Turkey hunter where he has mentored several children, adults and retirees to their first bird. It is a tremendous thrill for Tim to see the excitement in these first time hunters. He also enjoys bow deer hunting, elk hunting and black bear hunting. Pam is Director of Financial Reporting for Catalyst Consulting. She brings many years of public accounting experience to this position. She started her accounting career as a Tax Accountant at a Sheboygan firm where she specialized in corporate and partnership taxes. She then spent close to ten years at a regional firm in Green Bay as a Manager where she specialized in small business accounting, financial statement preparation and analysis, consulting, and audits of employee benefit plans. Her broad knowledge of both financial and tax issues positively impact our clients’ current situation and future plans. Pam graduated from Lakeland College’s Accounting Program in 1991. She is a Certified Public Accountant, QuickBooks ProAdvisor and a member of the American Institute of Certified Public Accountants and the Wisconsin Institute of Certified Public Accountants. She also holds a Bachelor of Science degree in Business Administration from the University of Wisconsin – Green Bay. Pam is a member of Management Women, Inc. where she served two terms on the board as Treasurer and one as Chairperson for Scholarships and Awards. Pam also volunteers and is Vice President for Warmth from the Heart. Pam has two adult children and resides in Green Bay with her husband, Bill, and dog, Maddy. Pam loves to travel. Her favorite location is Colorado, where she has been going since she was a young child enjoying camping, fishing, and hunting. She hopes to one day call it “home.” Pam's “recreational goal in life” is to golf in all 50 states – 20 down and 30 to go! Karen is the Director of Tax Compliance and has been with the company since 2006. She has over twenty years’ experience in taxation. Karen has worked in tax departments of SEC companies and a large privately held company. In addition to working in industry, Karen worked in public accounting at a regional firm in Green Bay where she worked with small businesses and business owners, specializing in state and local taxation. Through her work and education, Karen brings experience in federal and multi-state income tax compliance, tax research, tax planning, sales and use tax compliance, and audit representation. 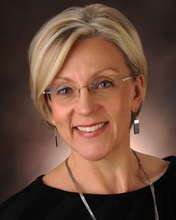 Karen graduated from Northern Michigan University in 1982 and received a Master of Science in Taxation from the University of Wisconsin - Milwaukee in 2000. She is a Certified Public Accountant, a member of the American Institute of Certified Public Accountants, the Wisconsin Institute of Certified Public Accountants and the Wisconsin Taxation Committee. Karen is a graduate of Leadership Green Bay, Class of 2014. Karen has two adult children, she resides in Green Bay with her husband and their two rescue dogs. Outside of work she enjoys running, cycling, playing the piano, reading and volunteering at Tank Elementary School. Melissa is a Senior Tax Manager who joined the company in 2012 and brings over 16 years of experience in taxation. She began her career at a regional firm in Green Bay, where she worked with small to medium size companies, specializing in state and local income and sales tax compliance. Prior to joining Catalyst Consulting Group, Melissa worked in the tax department of a SEC company located in the Fox Valley. Both the private and public accounting provided Melissa with experience in federal and state income tax compliance, tax research, and federal and state audit representation. Melissa holds a Bachelor of Business Administration in Accounting from St. Norbert College. She is a Certified Public Accountant, a Certified Financial Planner and a member of the American Institute of Certified Public Accountants and the Wisconsin Institute of Certified Public Accountants. Melissa has two adult children and loves outdoor activities, especially hiking in Wisconsin’s wonderful state parks and riding on the back of her husband’s Harley! Vicki joined the practice in 2015 as Director of Financial Compliance. She started her career with the first 7 years in public accounting, working most of that time in the audit department of a regional firm in Green Bay. Her audit background covers a variety of industries including manufacturing, banking, and health care. Vicki had a 14-year career with the Green Bay Packers in finance and human resources, advancing to the position of VP of Finance. 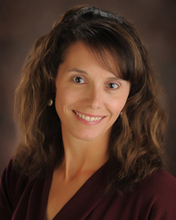 She most recently worked for Bellin Health as a specialty practice administrator. She has broad experience in organizational and staff development. 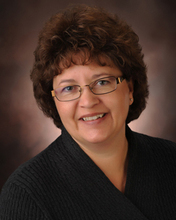 Vicki graduated from St. Norbert College with a BBA in Accounting. She is a Certified Public Accountant and a member of the American Institute of Certified Public Accountants and the Wisconsin Institute of Certified Public Accountants. Vicki earned her certification as a Senior Professional of Human Resources (SPHR). She is currently a member of the Society for Human Resource Management, the Green Bay Exchange Club and Management Women, Inc. Vicki resides in the Pulaski area with her husband and children. Two of their children are currently attending college and one is in high school. Outside of work, Vicki enjoys attending her kids’ school and sporting events, volunteering in the community, and spending time outdoors. Ann joined the firm in 2016 as Administrative Assistant. She started her professional career at West Side Clinic where she worked as a secretary for Oncology, Hematology and Urology. During her 6-year tenure she developed Administrative Assistant skills and gained a true passion for helping others. Ann had a 15-year career with the Ashwaubenon School District where she continued to develop her skills in the Resource Room and office, assisting the Principal, Vice Principal, staff, students and parents. Following her career with the school district, Ann worked for Shopko as a Customer Service Manager. Her specialty was in administering corporate guidelines, payroll verification, hiring and orientation, scheduling, coaching and mentoring, and assisting customers by offering exceptional customer service. Ann resides in Ashwaubenon with her husband and has two grown children. She enjoys spending time with her family and friends, playing with her two dogs, volunteering at charity events, camping and fishing. Traci joined the firm in October 2016 as an Accounting Manager. She spent twenty years of her professional career with the Green Bay Packers in the Finance department. Traci graduated from NWTC in 1997 with an Associate degree in Accounting. She later continued her education at Lakeland College, graduating in 2013 with a Bachelor of Arts degree in Accounting. Traci resides in a rural area northwest of Green Bay where she has held the position of Town Treasurer for several years. In her spare time, she enjoys snowmobiling, camping, riding motorcycle with her significant other, Scott, and playtime with their dog, Josie. Krista joined the firm in 2016 as a Tax Manager. She began her career in public accounting in 2005 and has worked for two regional firms in the Green Bay area. She brings with her extensive experience in the area of state and local taxation where she has represented clients under sales and use tax audits, brought clients into compliance through voluntary disclosure programs in multiple states, and has performed large multistate research projects. Additionally, Krista has experience with partnership taxation and the effects both ownership changes and the sale of a business have on the members. She grew up in Southwest Minnesota, where her parents owned and operated a family business for over 40 years. Krista holds a Bachelor of Business Administration in Accounting and Finance from the University of Wisconsin- Green Bay. She is a Certified Public Accountant and a member of the Wisconsin Institute of Certified Public Accountants. She lives in Suamico with her husband Josh, daughter Stella, and their numerous pets. As a family, they have fostered over 100 animals for the Bay Area Humane Society and actively participate in their church. Krista enjoys spending time with her family, playing with her pets, golfing, and assisting her husband with his landscape business. Dan is passionate about business leadership and developing others personally and professionally. Dan has the ability to see and understand the real need within a business (and within individuals) and not just symptoms that surface. He has a strength for listening, developing and communicating vision while mentoring others to develop their own visions and implementation strategies. This approach has led to true ownership and accountability that drives growth in sales and profitability, recruiting of top talent and retention of star employees. Dan brings 26 years of manufacturing experience as a former business owner of Independent Printing Company in De Pere, Wisconsin with leadership responsibility for finance, IT, human resources, safety, sales and marketing. He created a startup fulfillment business which helped to facilitate Independent Printing’s growth from $10 to $37 million during his tenure. A CPA with 8 years of Big 4 and regional accounting firm experience, Dan has a passion for small business consulting. He helps his clients achieve industry profit leadership through a combination of two paths-product specialization and value-added differentiation. Dan and his wife of 33 years, Laurel have been blessed with two adult daughters and a son in law. Dan is also involved in pastoral care and mentorship and is a certified fly fishing instructor and archery instructor. Meghan joined the firm in April 2017 as an Accountant. She graduated in August 2016 from the University of Wisconsin- La Crosse with a Bachelor of Science in Business Administration degree with an emphasis in Finance. Meghan works closely with clients assisting with bookkeeping and payroll. She also prepares individual tax returns. Meghan resides in Appleton with her husband and their two dogs. In her free time she enjoys playing with her dogs, disc golfing, camping and going to movies.